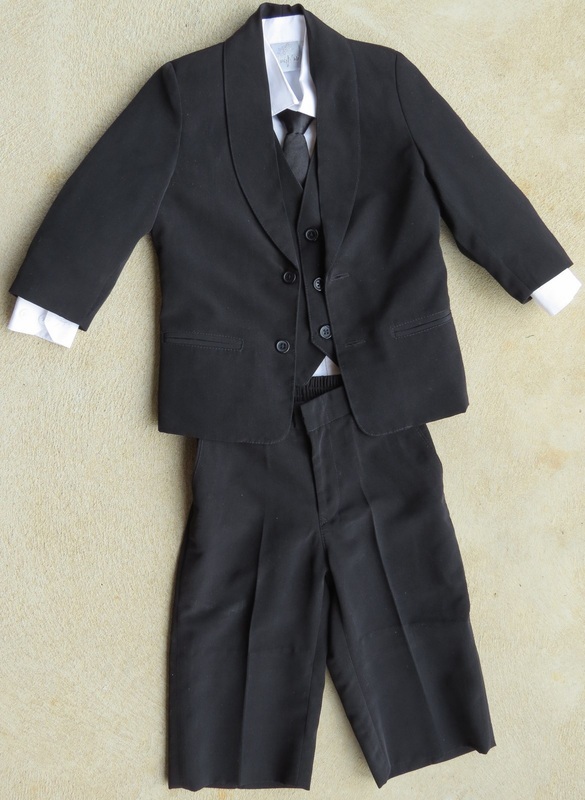 Boys' formal wear 2: suits continued. Modern suits are for sale only, as their cost is little more than the cleaning fee would be. Other styles available. 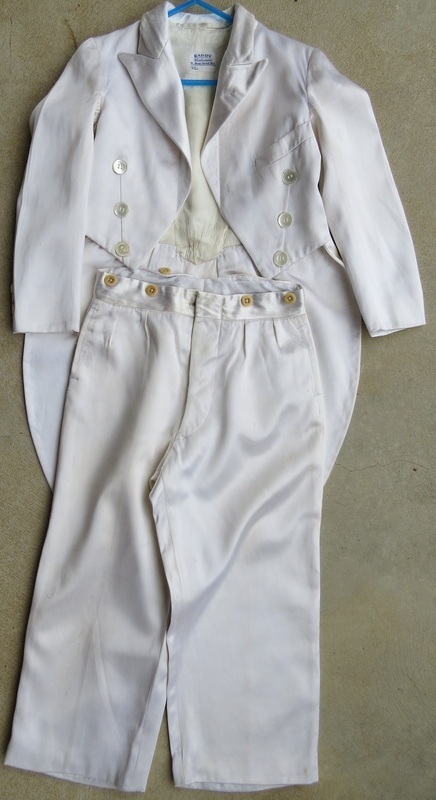 B5 White satin tailcoat and trousers, made in London, probably 1940s. Jacket: chest 66cm, armpit to cuff 30cm. Trousers: waist 54cm, inside leg 45cm, Has buttons to attach braces. Rental $35, deposit $45. Purchase $80. B6 Recent. Jacket, waistcoat, shirt, tie, trousers. Jacket: chest 61cm, armpit to cuff 16cm. Trousers: waist 45-48cm (elastic at back), inside leg 25cm. Purchase $40. B7. Recent. 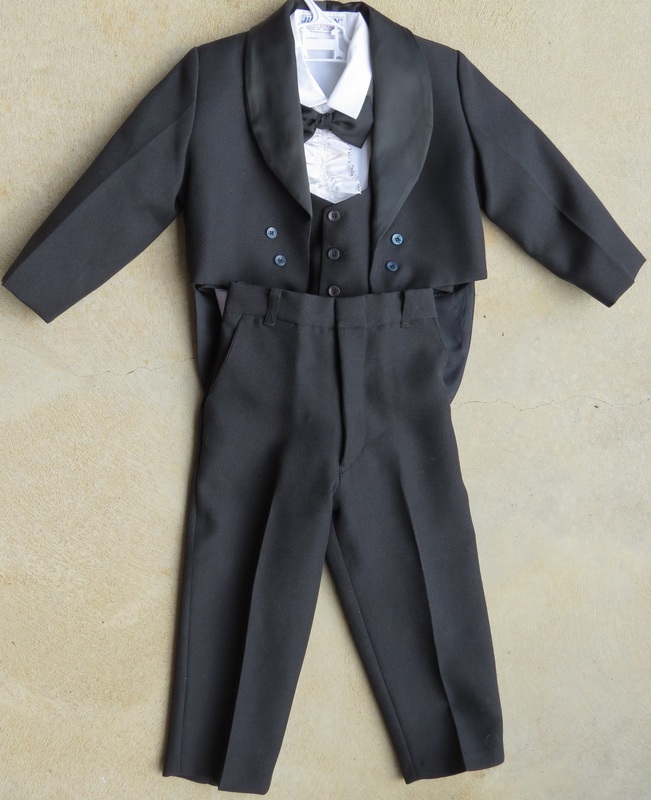 Tailcoat, waistcoat, shirt and ruffle, bow tie, trousers. Jacket: chest 62cm, armpit to cuff 20cm. Trousers: waist 44-52cm (elastic at back); inside leg 32cm. Purchase $40. B8. Not at all formal! 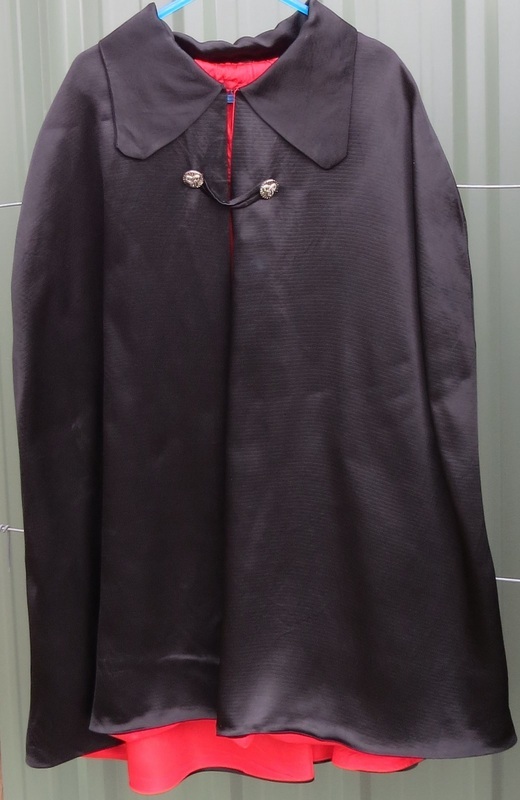 Unisex black and red short cape - pirate, Halloween, photo booth. 25cm around shoulders, 25.5cm long. $15.